In partnership with the Ethiopian Community Development Council, L.A.C.E.S. 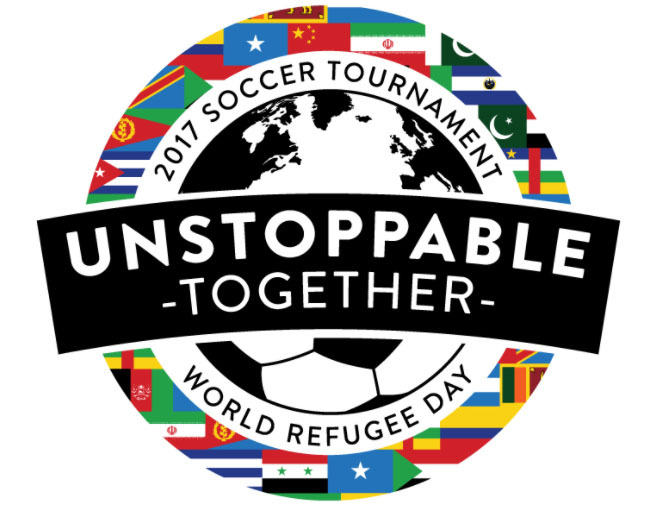 will be co-sponsoring a soccer tournament to commemorate World Refugee Day, a globally recognized holiday on June 20th of every year. 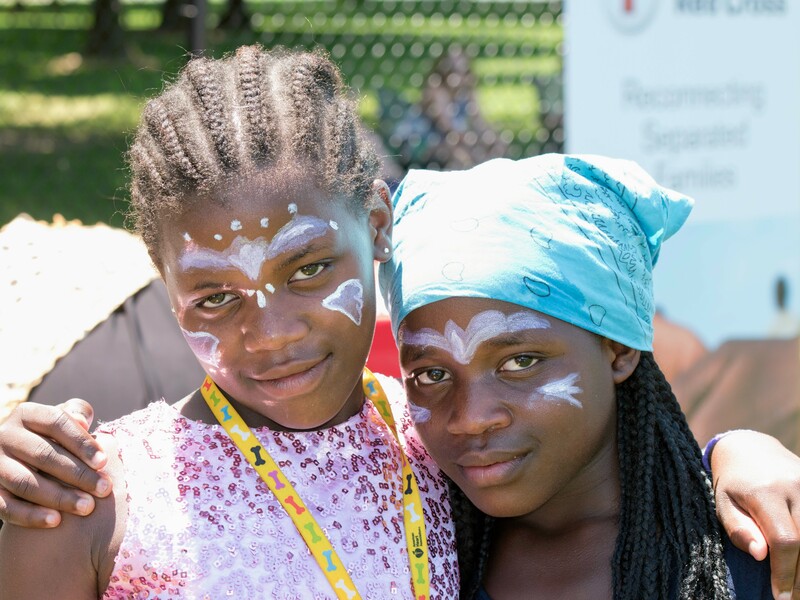 In an effort to promote community integration and advocacy for refugees, this event will provide refugees and the greater D.C. area an opportunity to engage with one another and foster positive cross-cultural interaction. 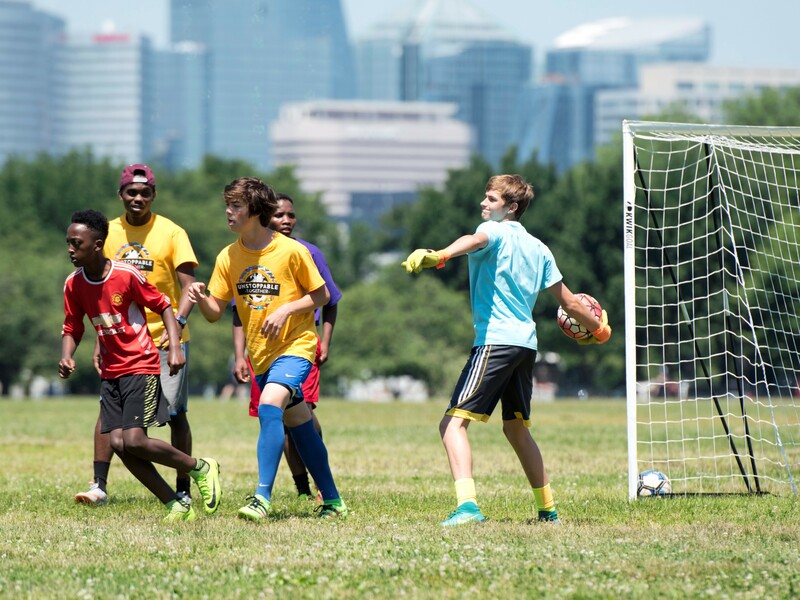 The soccer tournament will be held Sunday, June 11 at West Potomac Park near the Martin Luther King Jr. Monument from 11 am – 5 pm. Teams participating in the tournament will be comprised of a mix of ten refugees and community members at least thirteen years of age. 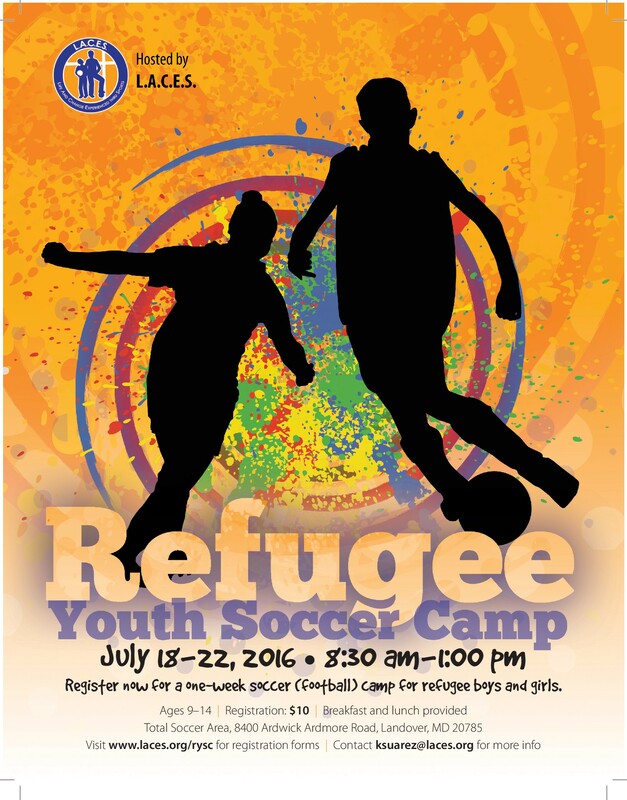 “This soccer tournament will be a great experience for both refugee children and their families as well as the community at large to come together and learn more about one another,” as noted by Kristin Henderson, who works directly with L.A.C.E.S. The United Nations General Assembly first observed World Refugee Day on June 20, 2001 to honor the perseverance and strength of the men, women and children forced to flee their homes under threat of conflict, persecution, and violence. In 2015 alone, over 65 million people worldwide were forcibly displaced from their home and less than 1% of all the world’s refugees were resettled. In fiscal year 2016, the U.S. resettled nearly 85,000 refugees. Since Congress passed the Refugee Act of 1980, which created the Federal Refugee Resettlement Program, 3 million refugees have resettled in America. Refugees flee from countries all over the world. Refugees resettling in the D.C. Metro Area come from Syria, Iran, Iraq, Eritrea, Birundi, Sudan, Sri Lanka, Ethiopia, El Salvador, Afghanistan and the Democratic Republic of the Congo. L.A.C.E.S. 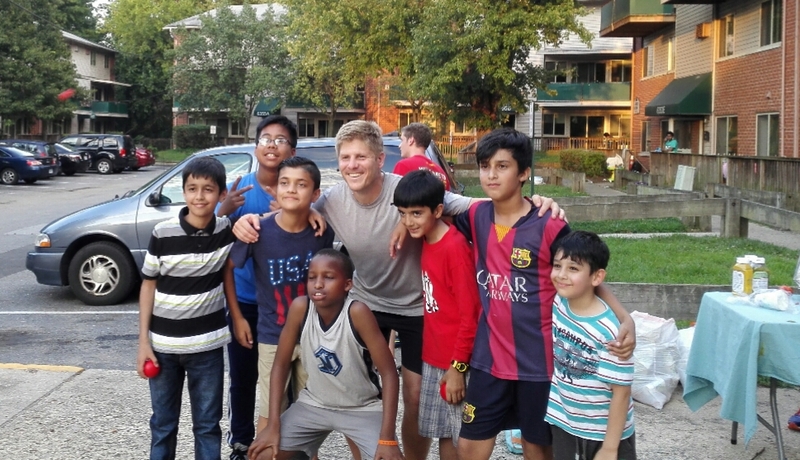 (Life and Change Experienced thru Sport) works with refugee youth from 14 different countries in the Washington D.C. area. 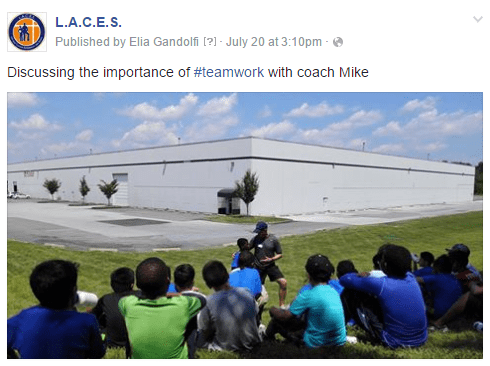 By providing sports camps, access to leagues and with an aim for long-term programming, L.A.C.E.S. encourages refugee integration, promotes positive development and alleviates some of the challenges refugee children face during the early stages of resettlement. L.A.C.E.S. 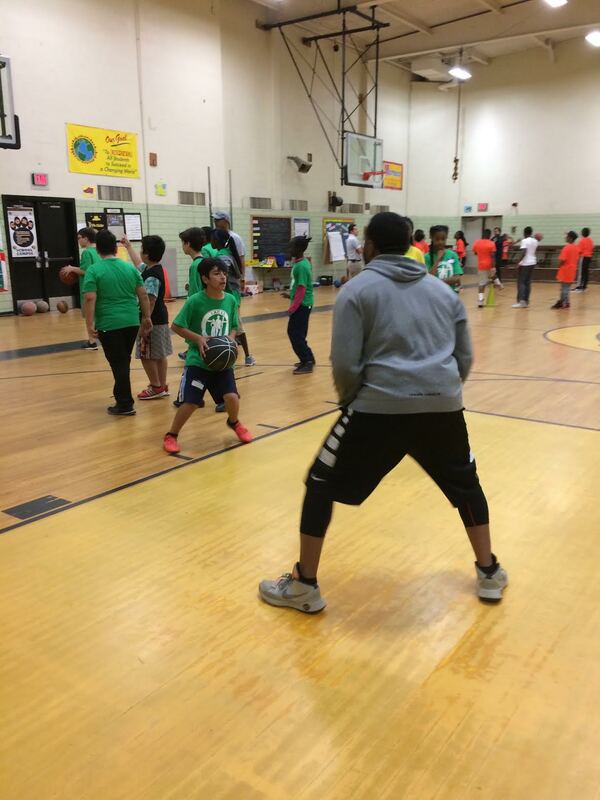 implemented its first Youth Basketball Camp for thirty refugee children April 17-21 at William Wirt Middle School in Riverdale, MD. Hosted by L.A.C.E.S staff and volunteers, the camp focused on learning basketball techniques and five values of L.A.C.E.S – Fair Play, Respect, Teamwork, Self-Esteem and Discipline. Each day the camp focused on a different value and awarded prizes to those kids who best exemplified the value of the day. Kids were taught new skills daily and were encouraged to practice them alongside L.A.C.E.S. values throughout scrimmages. When refugee children aren’t in school, they have limited positive outlets and activities to be engaged in. L.A.C.E.S. 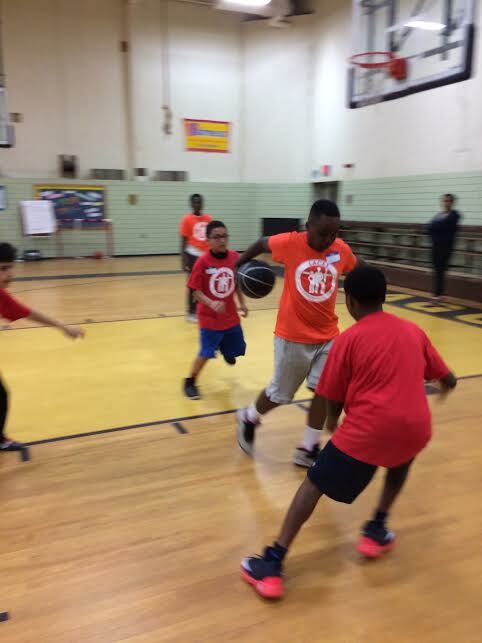 basketball camp provided an opportunity for many children to play basketball for the first time in a fun and safe environment. In addition to L.A.C.E.S. kids attending, twenty-four students from Atholton Academy joined the camp activities on Thursday. 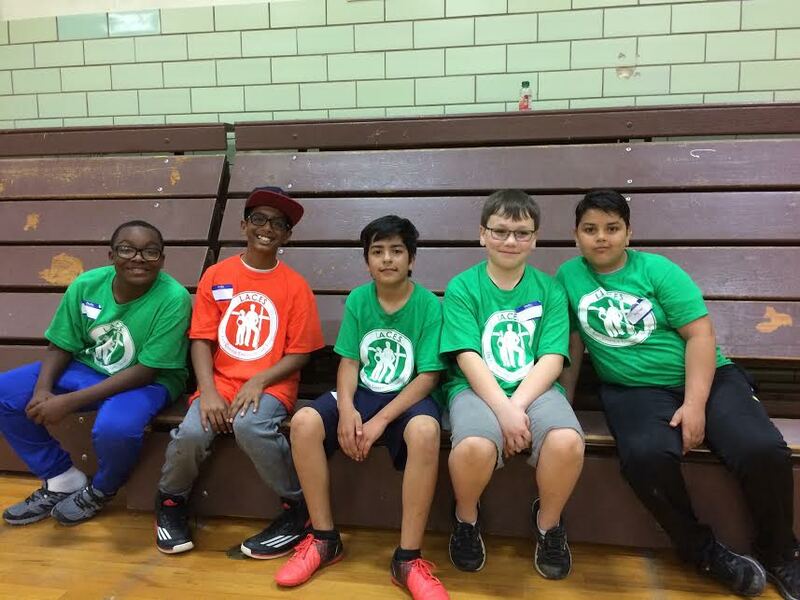 Atholton’s 6th Grade class supported the camp through various fundraisers and equipment donations. The goal of this partnership was to promote cross-cultural integration and tolerance for diversity. Overall the Youth Basketball Camp was a success. 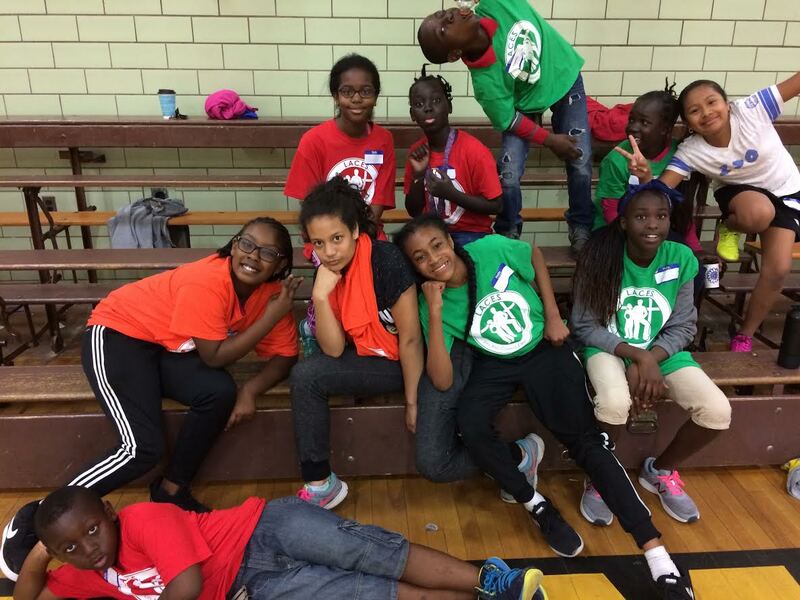 L.A.C.E.S is grateful for the support of the community and Atholton Academy, which enables us to provide positive and fun experiences for refugee children in the Washington, D.C. metro area. L.A.C.E.S. which stands for Life And Change Experienced thru Sports has been selected by D.C. United as the beneficiary of their Every Save Makes a Difference program for their home match on April 8, 2017. 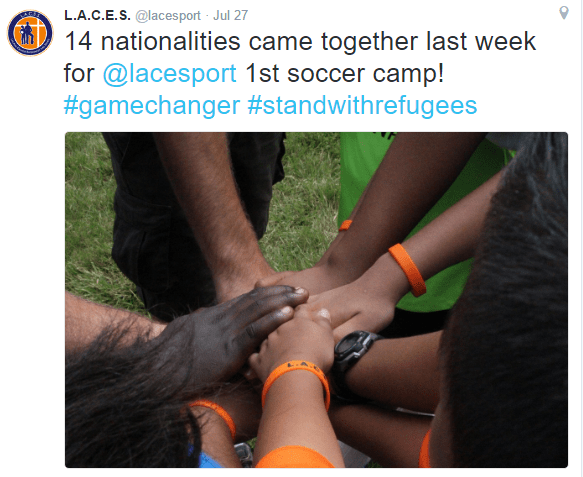 D.C. United will donate $500 of soccer equipment to L.A.C.E.S. for every save the team makes. Through the Every Save Makes a Difference program, Major League Soccer, Allstate, and Univision partner to support local organizations that work with under-served youth. D.C. United will purchase soccer equipment on behalf of L.A.C.E.S. 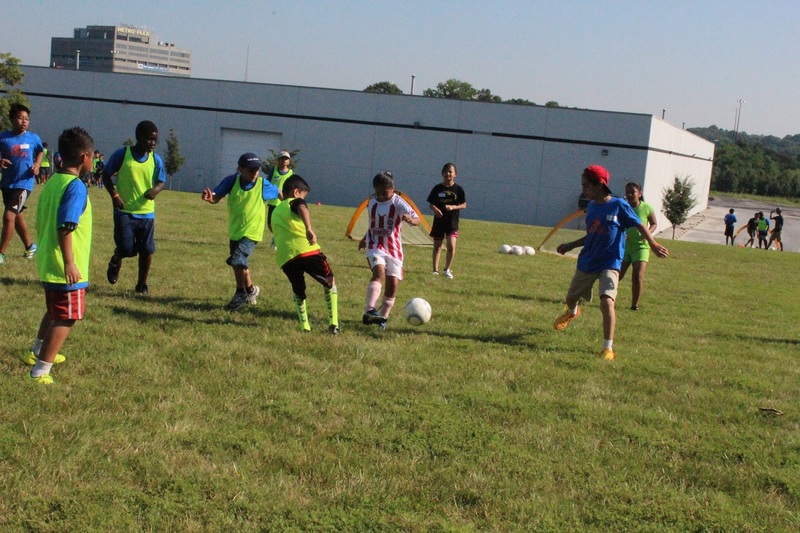 soccer program, which serves 450 youth year-round. The dollar amount of the donation is determined by D.C. United’s number of saves during the home match versus New York City FC. 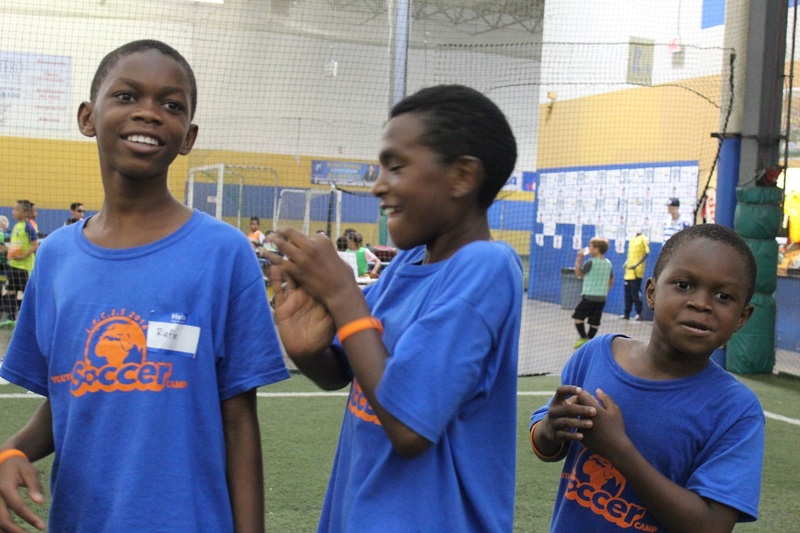 Since its inception, the Every Save Makes a Difference program has delivered over $200,000 worth of soccer equipment across the nation and has impacted more than 25,000 youth. L.A.C.E.S. 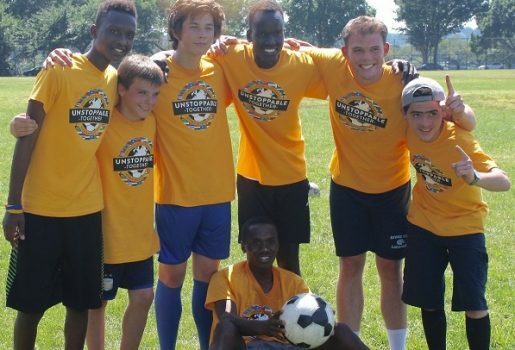 refugee soccer program works with youth from 14 different countries in the Greater Washington D.C. area. 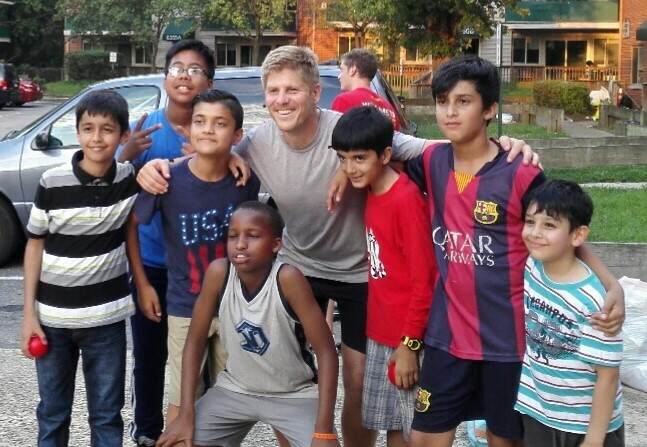 The youth are excited about the opportunity to attend the game and meet players from D.C. United.